This is basically I Need a Refresh-mint with shimmer, which makes the whole effect a little bit dusky. I’m not sure about availability, as it came in a holiday set last year. But its formula is basically the same as Refresh-mint – opaque in 2 coats, not too streaky. 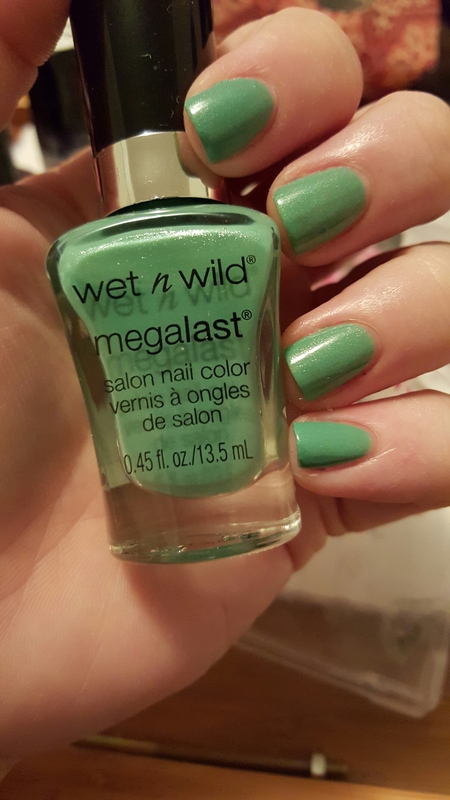 This entry was posted in Nail Polish Collection and tagged blue, green, nail polish, shimmer, swatch, swatches, teal, wet & wild on March 28, 2016 by Mel. 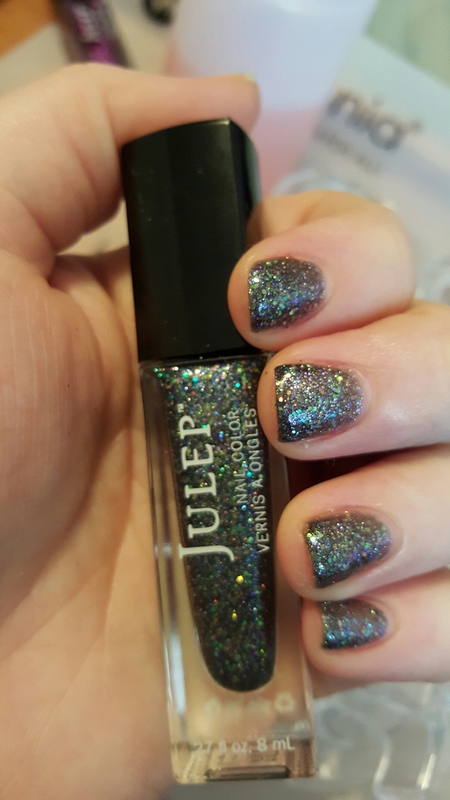 This emerald green polish is chock full of metallic gold microglitter. 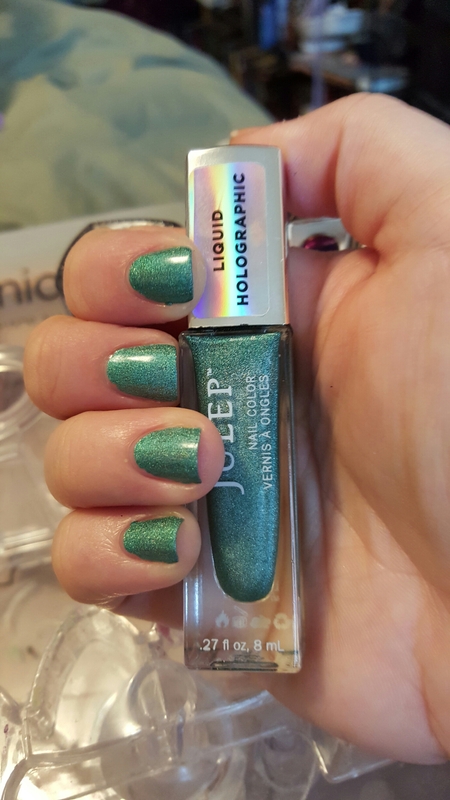 It has a beautiful formula like most from the brand and is opaque in 2 coats. 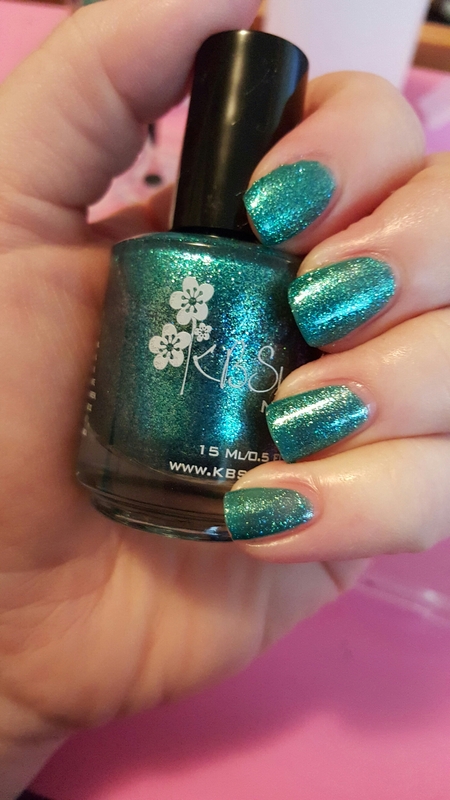 This entry was posted in Nail Polish Collection and tagged glitter, green, indie nail polish, indie polish, kb shimmer, nail polish, swatch, swatches on March 22, 2016 by Mel. 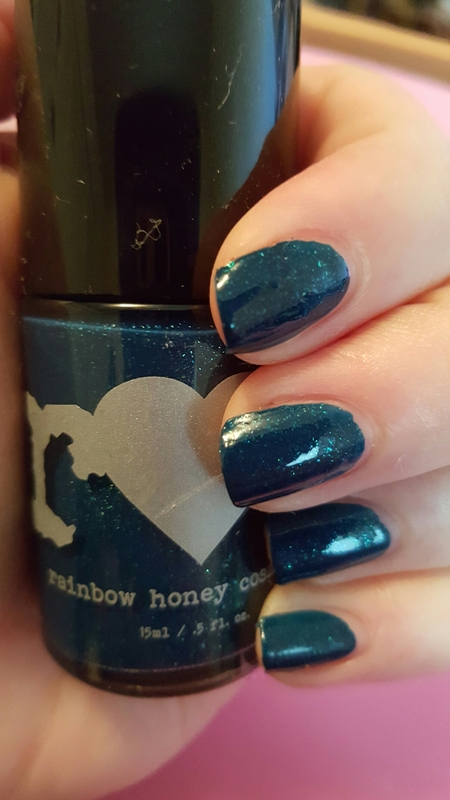 This teal cream is opaque in 1-2 coats. It’s lovely and buttery and is highly recommended. 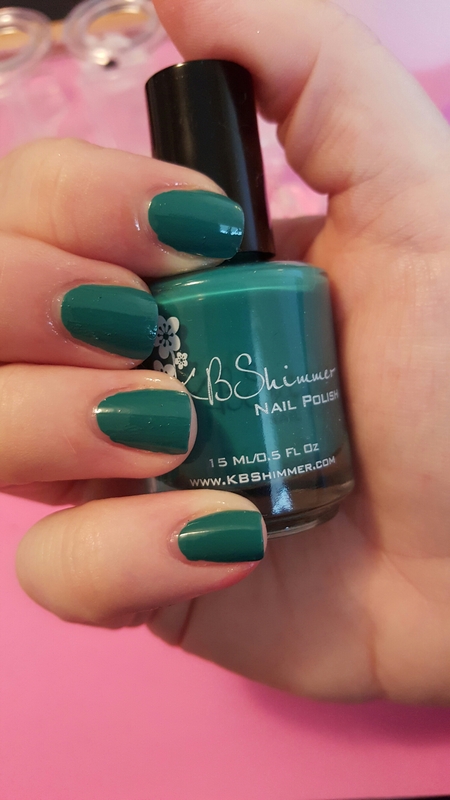 This entry was posted in Nail Polish Collection and tagged cream, green, indie nail polish, indie polish, kb shimmer, nail polish, swatch, swatches, teal on March 12, 2016 by Mel. I have exactly three Butter Londons, and have been disappointed by two of them. This was one of those. Pictured is three coats, and it’s still sheer. I may try it as a topper, because I love how twinkly it is. 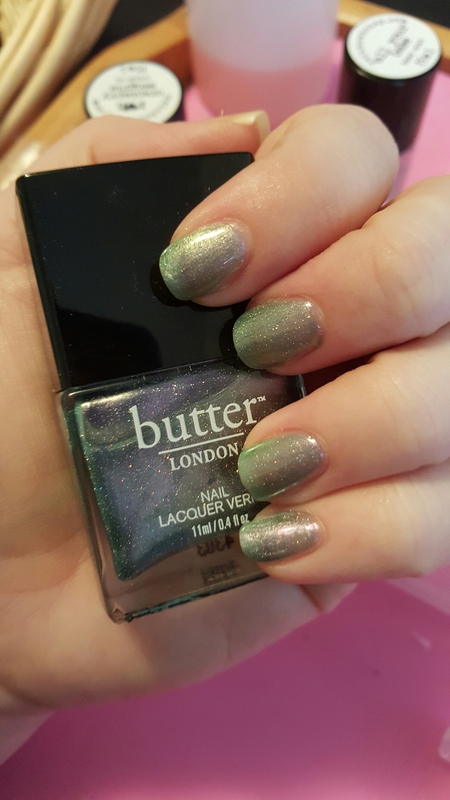 This entry was posted in Nail Polish Collection and tagged butter london, glitter, green, nail polish, swatch, swatches on March 11, 2016 by Mel.